Breathe stopping views of nature. Great views of diverse landscapes.Visit to only Botanical garden of Nepal. Spinny Babbler – bird only found in Nepal. More than 500 species of birds can be encountered. A memorable visit to first national park of Nepal – Chitwan National Park. Nepal is a small country having great variance in geographic and climatic condition. Nepal has the best habitat for birds like; The Tropical, subtropical, coniferous forests and the wetlands. Spiny Babbler (Kande Vyakur in Nepali) is the endemic bird of Nepal. Almost 500 species of birds are found only in the Kathmandu Valley. Including the Pheasant (Danphe) The national bird of Nepal, there are 856 species of Birds. 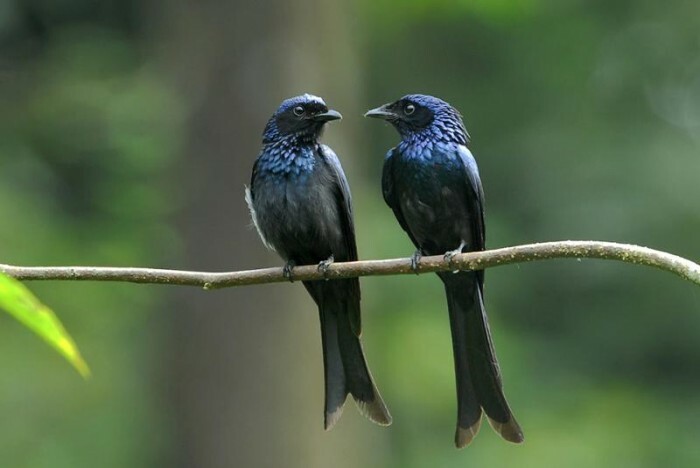 Kathmandu Chitwan Bird Watching Tour provides you the opportunity to encounter the large number of bird species with the breathtaking views of nature. You can enjoy the landscape on the journey and also the views of mountains, and glimpses of wild lives and exposure to the local tradition and culture. Kathmandu and Chitwan are best Bird Watching sites in Nepal. One can find about 500 species of birds like Chestnut-capped Babbler, Small Pranticole, Blue-bearded Bee-eater, River Lawping, Jungle Owlet etc. in Kathmandu and about 450 species of birds including Cormorants, Darter, Painted snipe, Bronze-winged Jacana etc in Chitwan. Chitwan National Park is not famous only for the endangered mammals and elephant back safari. But it is famous also for the habitat of many endangered and threatened birds. Many migratory birds can also be seen here. The dense forest of Chitwan National Park is the habitat of an exciting amount of highly vulnerable birds. How to Reach Chitwan ? Bharatpur Airport is the nearest airport (10km) from Chitwan. A taxi is easily available in the airport. We can take domestic flight from tribhuwan International airport. By bus, it takes about 5 hours to reach Chitwan. You can go via. Local bus or private tour buses. There are also Minibuses available to reach Chitwan National Park from Kalanki, Kathmandu. Accommodation on star rated hotel. Breakfast Lunch and Dinner except in Kathmandu. Tourist Guide – fluent English speaking. After breakfast in the early morning, we start our trip to Godawari Botanical Garden ‘ The only Botanical garden of Nepal.’ We take Binoculars and packed lunch with us. After visiting Godawari Botanical Garden we’ll have lunch and visit Phulchoki hills. Return to hotel in Evening. Dinner in Hotel. Overnight stay in Kathmandu. After breakfast in the morning we’ll start our journey to Chitwan National Park in Private Vehicle. We’ll have lunch on the way. Observing the great views of landscapes, we’ll reach Chitwan. Now, you are free for sightseeing of Peripheri of the Hotel in Chitwan National Park. Dinner at Hotel. Overnight stay in Chitwan. After the breakfast in the early morning, we’ll start Bird watching in CNP. Have our lunch in hotel and again back for birdwatching. Dinner at hotel. Overnight stay at Chitwan. After the breakfast in the morning, we’ll start our journey back to Kathmandu following the same route in the private vehicle, enjoying the breathtaking views of landscapes seen from the Vehicle.